Roll forming passes coiled sheet metal through a horizontal series of rotating dies to produce a desired shape. Each set of rolling dies makes an incremental change to the sheet metal until the desired profile is achieved. The piece is then cut to your desired length. Typically, it’s specified for parts with long lengths, and is also useful for producing large quantities. Compared to press brake or other bending operations, roll forming has several benefits. Due to the more gradual forming sequence, roll forming provides tight tolerances and an attractive finish. The rolling dies are gentle on soft sheet metal, making roll forming ideal for metals already finished with paint, plating, or coating. 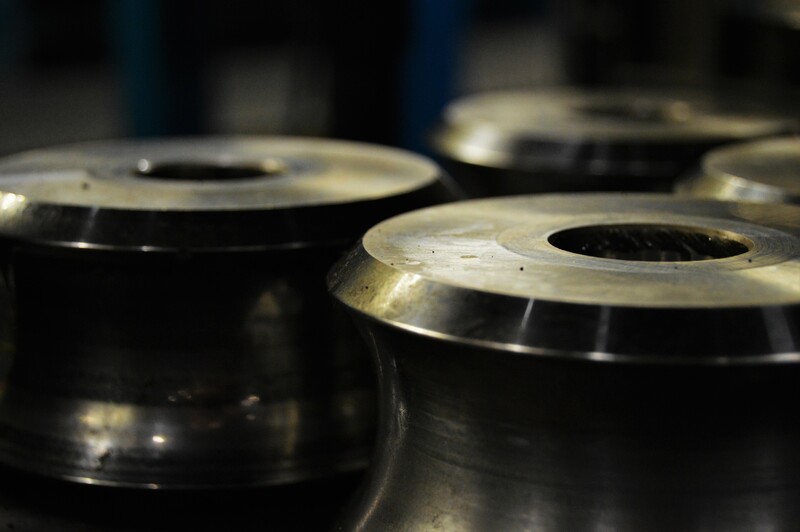 Unlike other bending operations, roll forming doesn’t have a limit on part length. Because the material is coiled and fed through, any length can be produced. The process allows you to add tooling to create any shape, no matter how complex. The speed and continuity of roll forming allows it to easily handle high volume orders at lower costs. Actions such as notching, perforating, and punching can be incorporated into the line, eliminating the need for secondary operations. Do you want to learn more about roll forming, or do you have questions about your next project? Schedule a free consultation!